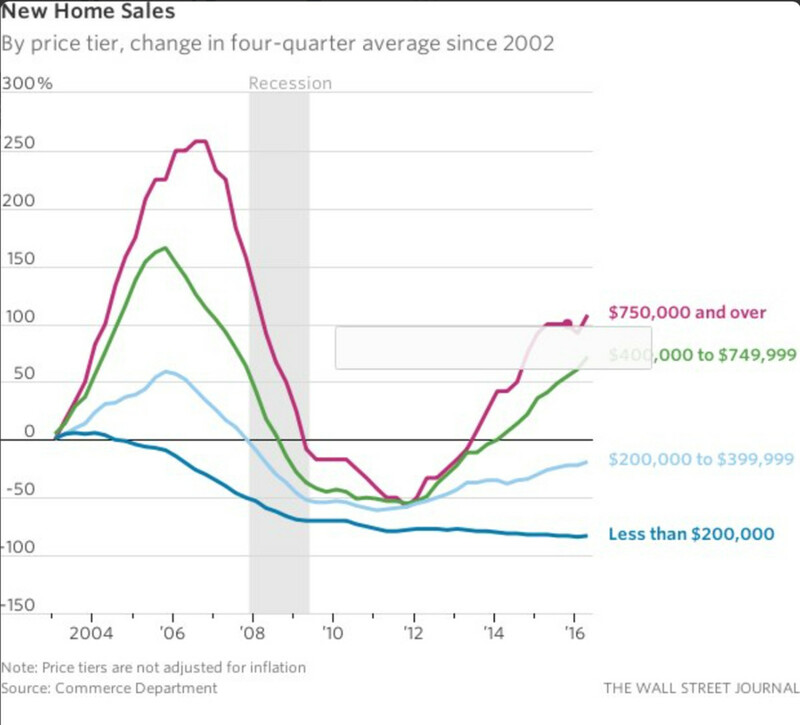 U.S. new-home sales unexpectedly rose in July to the highest level in nine years. U.S. new-home sales unexpectedly rose in July to the highest level in nine years, the Commerce Department said today. Single-family home sales were 654,000, a 12.4 percent increase from revised June sales, the Commerce Department said. The spike was driven by sales in the South. The median sales price of new homes sold in July was $294,600; the average sales price was $355,800. A graphic from the Wall Street Journal indicates that buying was most robust on the very high end of the market, although the data show a slight increase in sales to entry-level buyers.